If you or a loved one is buying or selling a home in Upstate, SC, a few things you may want to consider. The above photo is an air-handler or called a “plenum”. 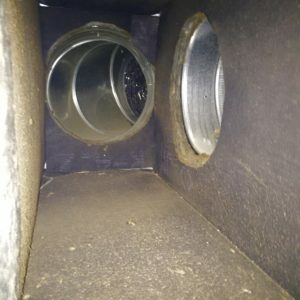 This enclosed system, vents and ducting are convenient, located in homes with crawlspaces. 1. Performing an air quality test before buying or selling is CRITICAL! This protects both sides of the transaction and will prevent potential problems with home sale/purchase. Although a “CL-100” (Home Inspector’s standardized procedure for Real Estate transactions.) purportedly protects all involved from buying or selling contaminated homes, it does not always happen. 2. Crawlspaces are notorious contributors to healthy/unhealthy Air Quality. The majority of homes built in the Upstate in the last century have crawlspaces. Again, vents and ducts are located in the crawlspace. 3. Crawlspaces are dark, wet and often a source of air contamination in homes. “Out of sight, out of mind”! When was the last time you crawled under your home? 4.HVAC service contracts do not protect you from the mold! Rarely if ever do these HVAC companies identify or mention organic activity. My experience in the Greenville County Court System and the case history has proved that HVAC companies are bigger players in Air Quality than they realize. Frequenting a crawlspace without informing a customer is more than tragic, it’s LETHAL! When properly maintained, temperatures in the home are safely dispersed throughout the seasons with the touch of a finger. Conversely, this centrally located system often gets wet, contaminated, or compromised. If left unchecked, V.O.C.’s (volatile organic compounds / Mold) disperse quickly throughout this network. Air-Handlers / Plenums have drain pans to disperse condensation. The risk of creating a “Petri Dish” increases when systems do not drain properly. 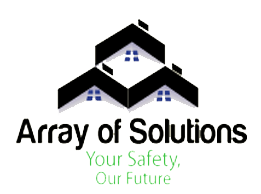 Call Arrayofsolutions.com @ 864-710-6413 with questions or concerns about your air quality. Your safety is our future!